Hyundai Assurance may have been touted as a top selling point of your new Hyundai Sonata, Tucson, or Santa Fe, but what is it exactly? Hyundai Assurance is what we like to call America's Best Warranty. If anything does need to be replaced, even an accessory you purchased at our dealership after the fact, that part comes with its own 12-month/12,000-mile warranty. 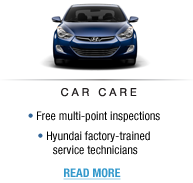 What is Hyundai Assurance Car Care? Car Care is a pledge to always provide the highest quality parts, most respectful and helpful customer service, and easy scheduling of auto service appointments. You'll also receive free multi-point inspections. 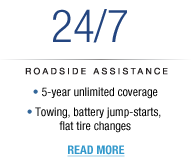 Download the free Hyundai Assurance Car Care app to manage your auto service appointments most effectively, or call for roadside assistance, which is free for 5-years/unlimited miles and 24 hours/seven days a week. What is Hyundai Assurance Connected Care? 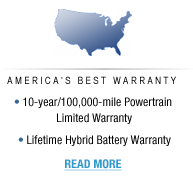 Do you have more questions about Hyundai Assurance? Fill out our contact form, and a product specialist at Medlin Hyundai will be in touch with the answers you need.